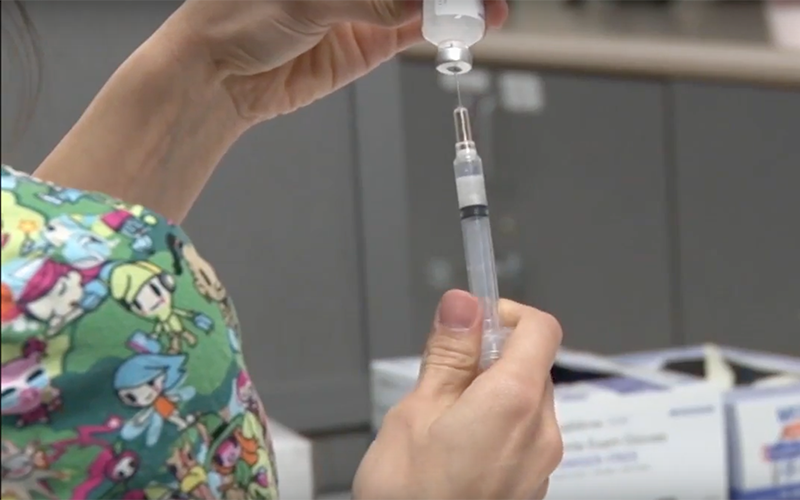 PHOENIX – The Arizona Department of Health Services issued a report on Friday warning that higher exemptions from vaccines are putting the state at risk this year for an outbreak of such preventable diseases as measles and mumps. The MMR kindergarten immunization rate fell to 93 percent his year. In northern counties with historically high personal exemption numbers, that rate is much lower. Only 83 percent of kindergarteners are vaccinated for MMR in Yavapai County, according to health services data. Arizona is one of 17 states allowing personal exemptions to vaccinations. Vaccines are mandatory for all grade levels, but DHS only requires schools to report immunization rates for students in preschool, kindergarten and sixth grade unless a doctor exempts them because of medical reasons or a parent exempts them because of personal, philosophical or moral objections. ADHS reports 60 percent of counties in Arizona are now at risk for a measles outbreak. Only 4 out of 10 kindergartens are above the necessary threshold to be considered immune. This story has been updated to accurately reflect state policy for immunizations. Vaccines are mandatory for all grade levels. The Arizona Department of Health Services only requires schools to report immunization rates for students in preschool, kindergarten and sixth grade.